I was an Apple Mail snob. Needless to say, when our team here at Redbrick started building Shift, I had some serious hesitations. Did the world need another email client, and what on earth would this thing do for me that Apple Mail couldn’t? I was – without a doubt – the Shift grinch. As VP of Marketing here at Redbrick, I currently manage six emails for business and my own personal email account. Switching constantly between these accounts was tedious at best and a productivity and cost loss at worst. Well, my name is Marco Pimentel, and I am now a Shift user. I tried numerous solutions, including Mailbox, but none worked well across all my accounts while providing me complete ease of use. Mailbox only worked with Gmail-based accounts, and two of my accounts are Outlook-based. I also didn’t want to base my email client decision on the email accounts I currently have — I could add a new account or client in the future, and I need flexibility. Apple Mail offered a solution I used for six years because it let me manage multiple addresses across various platforms. However, I found the iOS version difficult to use unless I was simply responding to emergencies or sending short messages. It also didn’t offer a solid search function. When I tried Shift, its powerful search function was one of the first benefits I noticed. Within the native Gmail application, I can search folders, emails, and documents. The amount of time I save by not having to hunt through folders or scan contents manually is huge, and ready access to information — wherever that information might be — lets me better reply to and service clients or business partners. Comprehensive functionality is another thing I appreciate about Shift. I don’t just manage multiple email accounts — I also manage marketing across various products and companies. To boost productivity and promote teamwork, we’ve fully adopted the Google ecosystem, including Google sheets, docs, drive, and calendar. 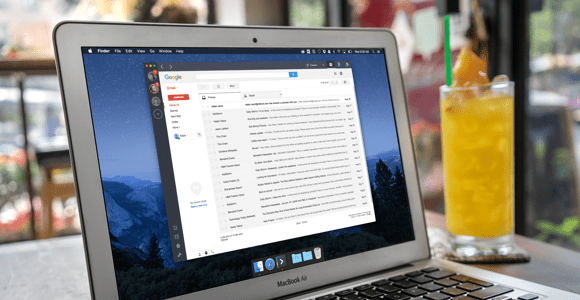 If switching between email accounts caused productivity loss, constantly switching or toggling between all these accounts, tabs, and windows was an even greater efficiency problem. It was also annoying. Shift solves these issues by presenting the entire Google ecosystem in a single location. You can shift easily between accounts without signing in or out or changing windows. On-screen navigation also lets you toggle between Google products without opening a million tabs. The result is a more efficient workflow and less chance that I lose work, close tabs in error, or lose track of where I am and what information goes where.